Hey guys! Today we have something special from adidas company – the adidas AlphaBounce. This is the new running model for men & women. They released this model out of now where. Adidas tried to surprise us and you know what? They did. Surprisingly, the AlphaBounce quickly became top selling shoe, I was very lucky to cop a pair. So let’s see why they are so special. Welcome to my adidas AlphaBounce Performance Review! Adidas put the brand new technology – Forged Mesh. This is a seamless mesh material designed with areas of support and stretch to help ensure a custom fit that adapts to every move. 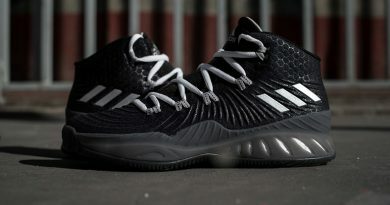 I’m now a big fan of Forged Mesh, looking forward for another adidas model with this technology. This was a different experience, different feel, it just was DIFFERENT. Of course, in a good way. The upper offers great flexibility & support at the same time, I had no problems at all. In addition, lacing holes are covered with Fuse for better durability and the “wavy” mesh on the sides stretch really nicely to make lateral movement more natural and enjoyable for you. In result, amazing upper. Nothing sensational in this category but at the end of the day, this is a running shoe. The adidas AlphaBounce has a small external heel counter to keep your foot in the right place and that’s it. The main support for this model comes from materials & a right size. As I said, nothing special but if you are using this model for training, running or casual wear (as you suppose to be), than you don’t need solid support. We have a full-length BOUNCE cushion. Guess what? AMAZING cushion, as I expected. 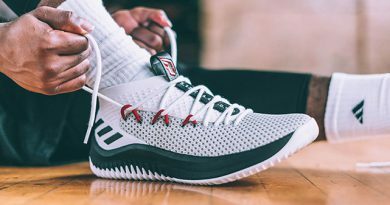 The AlphaBounce cushion setup is very similar to the adidas Dame 3 or D Lillard 2 tooling. I enjoyed every step in these bad boys… Superb impact protection, great stability and at the same time big bounce. Also, I had zero pain in my feet after a long run, just a super dry mouth. The adidas AlphaBounce has a nubbed pattern simillar to other adidas running models like Ultra Boost. Not much to say really. It’s very simple… They performed great inside & outside: nice transition, good grip with different surfaces, no problems at all. However, it will be nice to see more durable rubber compound because it seems like the rubber is a little bit sensitive for outside surfaces. This is adidas shoe so like usually, I recommend going half a size down for perfect fit. Widefooters should be happy going true to size. The adidas AlphaBounce fits really comfortable because of great material choice. The midfoot area wraps the foot nicely to make thar perfect snug fit. Stretchy materials make this shoe wide- foot friendly. Adidas continuous a PHENOMINAL job with their sneakers and the adidas AlphaBounce is not an exception. In my opinion, you can’t go wrong with these: you will get premium materials, very comfortable & flexible fit along with responsive cushion to survive long runs or hard trainings. Also, solid traction and support make this a perfect running/training shoe. 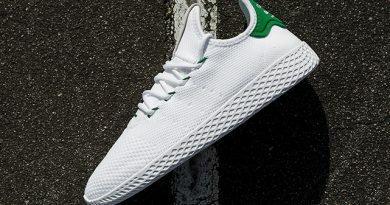 The best part is price – $100… Wow adidas, you surprised me again. Better than Ultra Boost? No, AlphaBounce isn’t better than Ultra Boost but it’s up there, no question. You see, adidas Ultra Boost has BOOST cushion but AlphaBounce is way cheaper, so it’s really up to you. 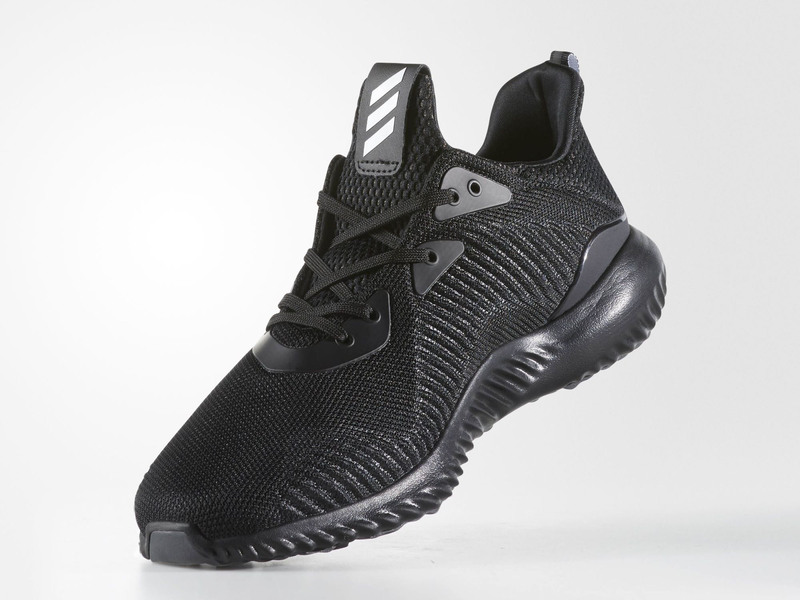 If you are looking for great running/training shoe with low price or just want to try something different then The adidas AlphaBounce is perfect choice for you. Go grab it! What do you guys think about new adidas AlphaBounce? Comment below! ← Nike Kyrie 3 PERFORMANCE REVIEW – The Ultimate Guard Shoe? My daughter plays basketball and we ended up buying another brand of shoes for her. But they were low rise and she ended up hurting her ankle as there was no ankle support. How are do these protect ankles as I am always looking for better shoes as she is still a growing girl? Some of the shoes we have bought over the years, the lace hole rips very fast. Hopefully, here that won’t be the case. The adidas AlphaBounce is running shoe so it’s not suitable for basketball. I highly recommend to try Nike KD 9, adidas Crazylight Boost Low or adidas Crazy Explosive, all of these shoes offer very solid support, amazing traction, great cushion and nice comfort feel, everything you need for your daughter. You can check my performance review on Nike KD 9 – Nike KD 9 Performance Review – The Best KD model yet? Looking at your review on the Alphabounce, it actually helped me choose what shoe I should get that Adidas has to offer. You provided all the details that is needed in choosing a shoe mainly, fit, cushion, support and materials. Well in my opinion, those are things I look at so good job on going every aspect. Other people might look at other details so thanks for covering everything. I’ll show this to my brother since he’s trying to debate if getting the ultraboost is worth it compared to the other shoes of adidas. Kudos! 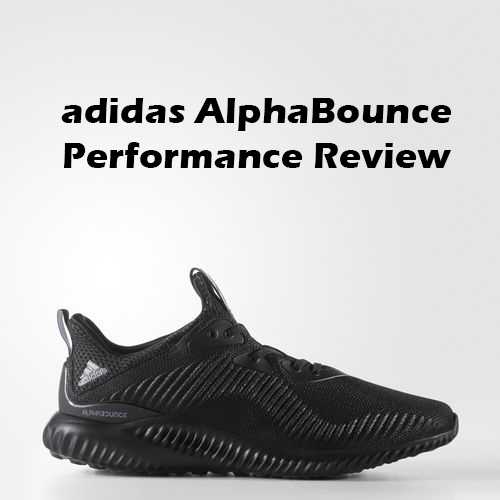 I’m very happy that my performance review on the Alphabounce helped you to choose. It’s very hard to choose one sneaker out of thousands, that’s why I created this website. By the way, you made a great choice! Yeah, my main goal is to cover all aspects of a shoe to make reviews as informative and helpful as possible. The adidas Ultra Boost is amazing all-around shoe. In my opinion, the greatest running shoe in the market. Of course, it’s expensive sneaker but if you’re ready to spend this money then The UltraBoost is perfect fit for you. On the other hand, the adidas AlphaBounce is more likely budged model with very similar performance to UltraBoost, so it’s up to you. Hey there! I found your article very informative. I’m planning to buy a shoes soon and I heard good things about adidas. I liked to buy shoes for casual but comfortable when using it. I heard the boost technology of adidas, that it is the most comfortable to wear. I liked the nmd and the ultra boost. Also I like the alpha bounce but its not boost. Even though its not boost its price is way better than shoes that has boost in it for $100 this is a very good deal. I might cop this one rather than the ultraboost or nmd’s. Thank you for sharing this information. AlphaBounce all the way. That BOUNCE midsole is simply fantastic, offering you a bouncy & comfy ride. I’m definitely in the minority; to me, these Alphabounces are more comfortable than my Ultra boosts. Could just be my foot. I use them for casual wear, so there could be a difference when running too. I will probably try to get another colorway of Alphabounces before they’re gone. You’re not a first person who reaches me out saying that they do enjoy BOUNCE cushioning more than BOOST. That means BOUNCE is no joke really. And I’m always happy to have two awesome options to choose from instead of just one. You can check the new sued version of them. Personally, they look fire in that suede upper. I really enjoy the alphabounce. The mesh material conforms to my wide foot for a comfortable fit. Plus they are very stylish for a everyday shoe! I also own a pair of the tubular sock dooms so adidas now has my business! That’s awesome man! How does the BOUNCE cushion feel for you?